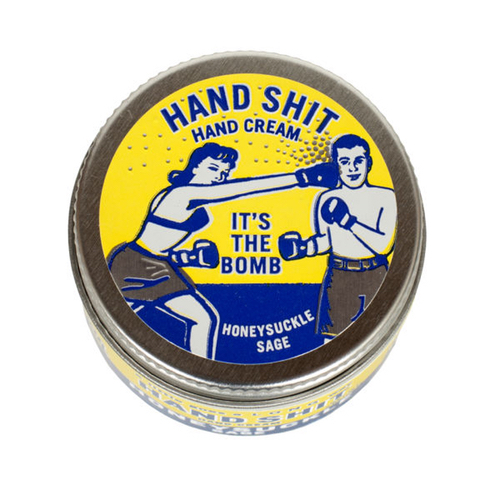 ​Keep your hands soft and smooth with the Hand Sh*t Hand Cream. Presented in a handy tin which you can pop in you bag for on-the-go application, this hydrating hand cream will banish areas of dryness, and a little goes a long way. The delicious honeysuckle and sage fragrance is also completely irresistible! - L.M.